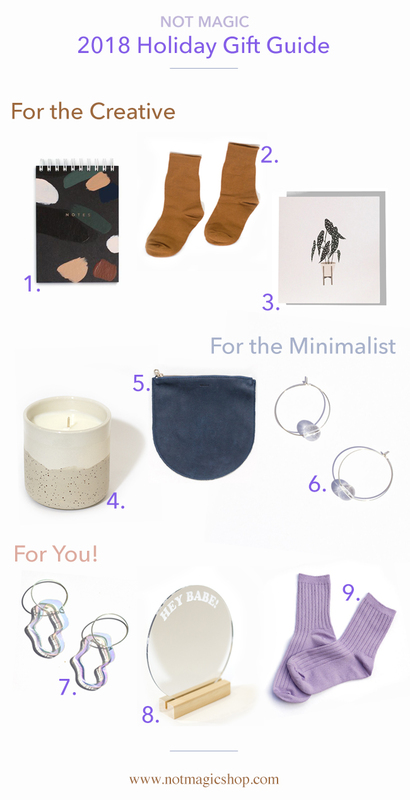 The holiday season is fast approaching and I thought it would be fun to put together a selection of the best giftable items from the shop. I’ve created and curated some really cool stuff this year! I’ve added some new pieces to the jewelry lineup! We have three new earrings and a necklace that fit the ‘bold minimalism’ aesthetic. This collection was made with sparkly holiday parties in mind. This gorgeous silver mirror acrylic can be dressed up for a night out, or dressed down for a casual day. The vibe here is very 1920s futurism and I’m obsessed with it!